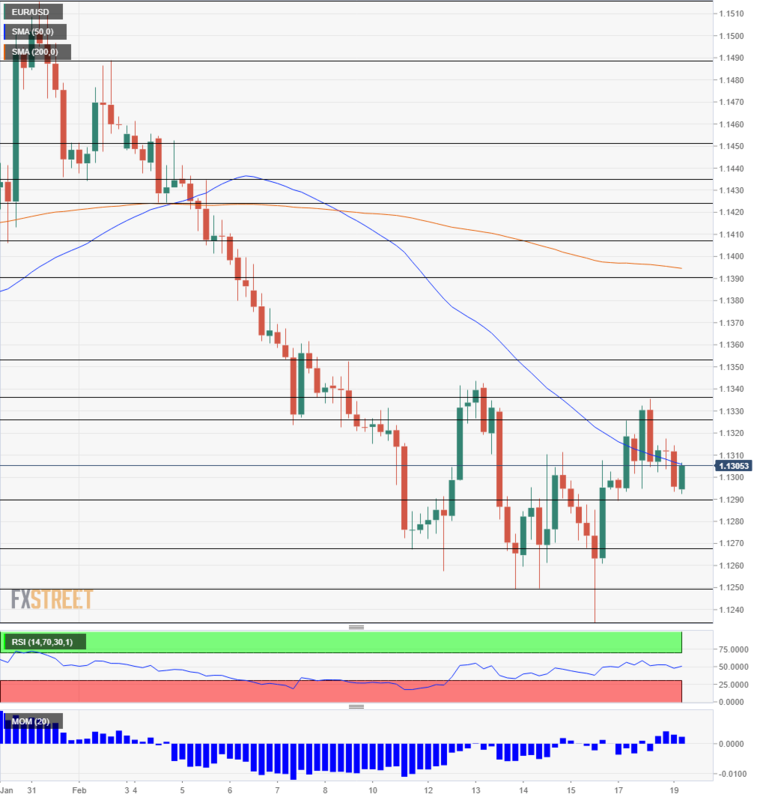 EUR/USD Forecast: Will it tumble on new tariffs from Trump? EUR/USD is consolidating around familiar levels as trade remains in the limelight. Fear of US tariffs on European cars weighs, while progress with China helps. The technical picture turned marginally positive for the pair. Support awaits at 1.1290 which was the trough for 2019 and a support line in recent days. 1.1265 was a low point on the way down. It is followed by another trough at 1.1250, but the most important one is 1.1235 which is the current low for the year. The low for last year is 1.1215 and provides further support. Looking up, resistance awaits at the 1.1325-1.1335 region which capped the pair in recent days. 1.1350 held EUR/USD down in early February and serves as the next cap. 1.1390 and 1.1405 served as support lines when euro/dollar was trading on higher ground and are now lines of resistance.